SERVING BOOKS. 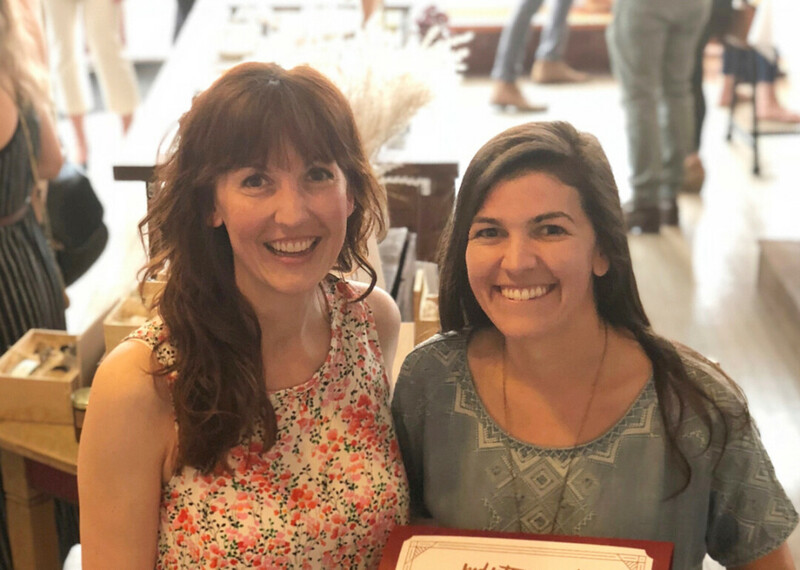 Red Letter Grant winners Margaret Leonard (right) and Jill Heinke Moen co-own Dotter’s Books, and they just secured a permanent space in Eau Claire’s Eastside Hill neighborhood with plans for a big future. Local online bookstore Dotters Books is opening a permanent physical location this fall. The women-owned bookstore got started in 2017 as an online-only business that hosted pop-up sales around the city at places such as Avalon Floral and the Oxbow Hotel. 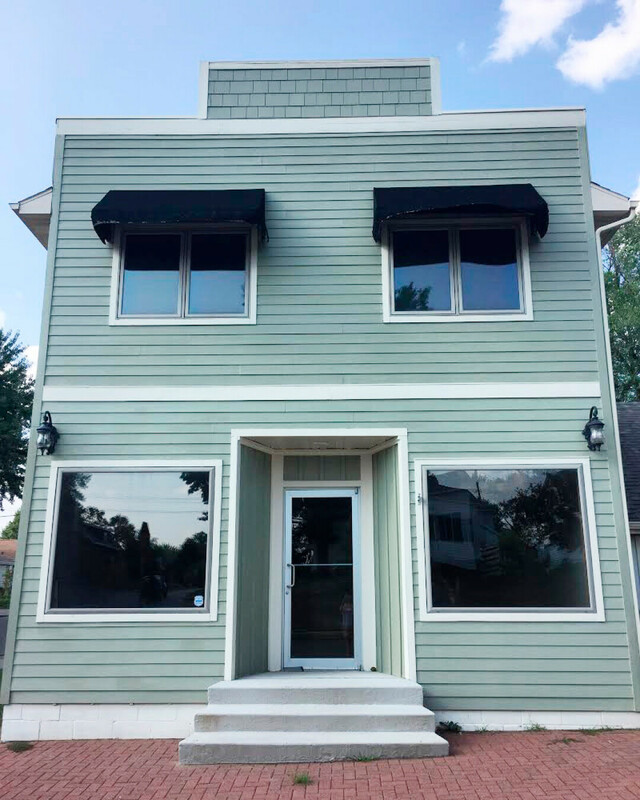 Now, Dotters is opening its (physical) doors – probably in mid- to late-September – at 1602 Hogeboom Ave. in Eau Claire's Eastside Hill neighborhood. Margaret Leonard, who co-owns the shop with Jill Heinke Moen, said she was hoping to find the perfect location in the Eastside Hill neighborhood. Leonard lives in the neighborhood and Dotters has had some pop-up stores in the area, too. The owners have been looking for a retail space for about a year, Leonard said. They spent that time looking for the right location, size, and price – a process which they were “picky and patient” about since the beginning. As of now, Dotters is run by two people: the owners. “It’s been manageable so far with no shop to man ... woman,” Leonard said. Once the physical shop opens, Leonard said, they probably won’t hire any more employees – at least not right away. They may pick up some seasonal workers for the upcoming holidays if they see fit, she said. Leonard likes having the pop-up stores and she said they’ll probably continue to hold some every now and then. With a permanent location, however, she thinks they’ll be able to reach more people, and she has ideas for hosting a variety of events in the space. The location will be family-friendly, Leonard said, as they keep children’s book stocked in addition to their other books. Plus, because both owners are mothers, Leonard anticipates that their kids will often be at the store with them. The selection process for the books they keep in-stock is very collaborative, Leonard said. The owners pick books based on what their customers recommend. They mainly focus on female authors and books written by people of color. Additionally, they try to select books from lesser-known publishers around the Midwest. Dotters has a book club that meets once a month. The selection process for the club is similar to that of the entire store, Leonard said. Each year, the book club has a broad theme, which helps them select books to read each month. In 2017, the members read books by women authors. This year, it’s books by authors of color and next year, they’re planning for a combination of both. Once they settle on an official opening date, Dotters will likely host a grand opening party to commemorate it. Dotters Books will be located at 1602 Hogeboom Ave., Eau Claire. For now, books can be ordered on their website, dottersbooks.com.